As strategies to prevent dementia or delay disease progression are developed, it will be important to have risk prediction models to prioritize and target intervention to high-risk individuals. Targeting whole populations is not always cost-effective, particularly when intervention strategies are expensive or adherence rates are low. A complementary approach may be to develop a prediction algorithm to identify individuals at highest risk of dementia as early as possible without being too broad in risk selection. This chapter will present an overview of existing dementia risk prediction models with a focus on their predictive accuracy (e.g., sensitivity, specificity and discrimination), the types of variables incorporated (e.g., cognitive, neuroimaging, genetics and health assessment) and the cost of attaining the risk score (e.g., in terms of equipment and the need for specialist training for risk score attainment). A better understanding of available dementia risk models and their predictive accuracy has implications for improving diagnostics, targeting services and undertaking of more focused risk factor reduction in older aged populations. 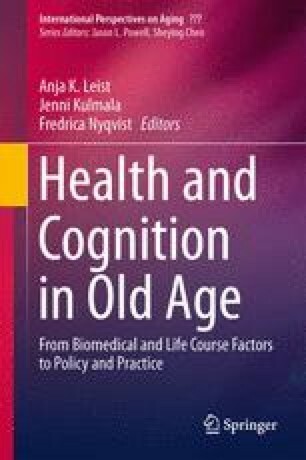 Part of the work in this chapter was supported by a European Research Area in Ageing (ERA-Age) Future Leaders of Ageing Research in Europe Postdoctoral Fellowship (FLARE Fellowship; awarded through the Medical Research Council: MRC, UK), awarded to Dr. Blossom C.M. Stephan.